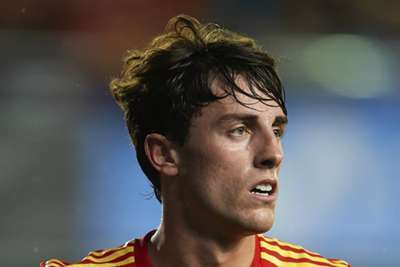 Real Madrid have confirmed Alvaro Odriozola has a minor groin injury, likely ruling the new signing out of the UEFA Super Cup. Los Blancos take on city rivals Atletico Madrid in Tallinn on Wednesday in Julen Lopetegui's first competitive game in charge, but the former Spain coach is expected to be without right-back Odriozola. The 22-year-old, who has joined from Real Sociedad, has been "diagnosed with a grade one injury in the abductor of the right leg" according to a Madrid statement. Atletico's squad for the Super Cup was named on Monday, with new signings Thomas Lemar, Rodrigo, Nikola Kalinic, Gelson Martins and Santiago Arias all included.